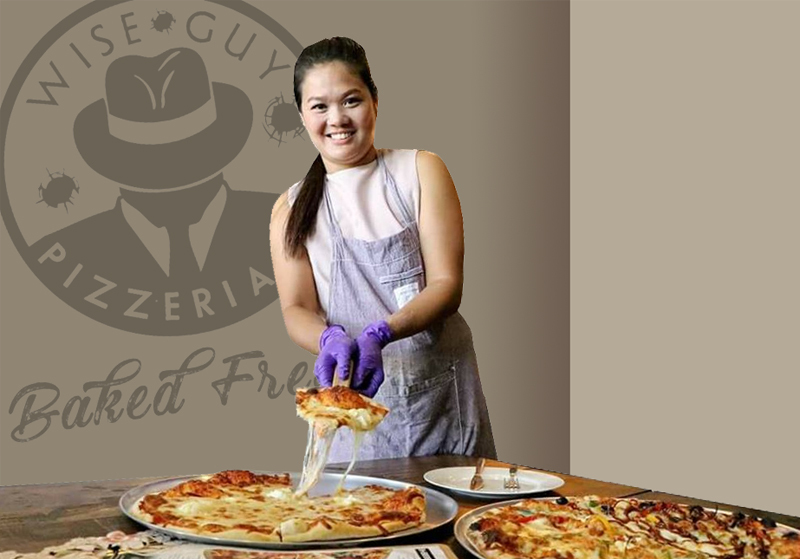 Wise Guy Pizzeria opened in September 2017 in Ban Pong Ratchaburi promising to serve up a much needed alternative to the pizza and pasta game in Ban Pong, Thailand. 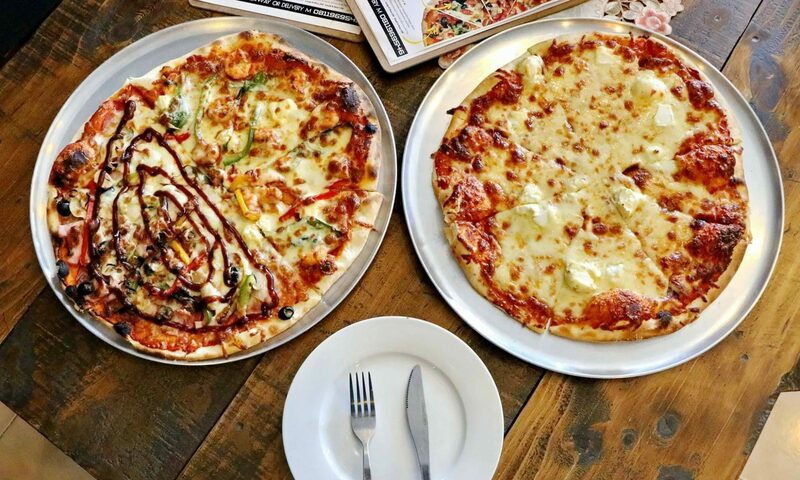 Wise Guy’s is taking on the job of serving up traditional thin crust Italian woodfired pizza’s, Italian soda, calzone’s (pizza puff), pasta and spicy American buffalo wings. The concept behind that restaurant has been brought to life by a local Australian, who has a long history in marketing, management, customer service and graphic design. These things will bring together a location that has a retro vintage style experience for the customer as well as the new local experience of wood fired pizza’s. It’s a family restaurant with his wife Nattima Sirngarom doing all the hard work on the pizza design and his brother inlaw working the kitchen making every pizza and calzone from scratch. No frozen pizza bases here, just fresh dough prepared inhouse daily and local produce used. The pizza oven is a traditional brick woodfire setup, running dual source of gas and wood allowing for a fast turnaround (providing the shop isn’t engulfed with customers) for dine in and take away and also speedy local home delivery. Wise Guy Pizzeria started out with a small menu will ensure every pizza is cooked to perfection. You can choose from one of our eight delicious pizza’s or design your own from our choice of imported and local toppings. This great new concept is sure to be a hit with young and old alike and offers a unique experience and a brilliant menu.